The first time I saw a .458 SOCOM years ago I couldn’t imagine why someone would want one. 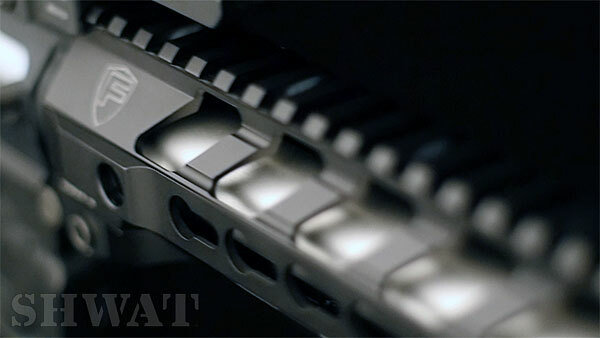 A heavy recoiling AR-15 with limited magazine capacity – what’s the point? Now I laugh at myself and consider my former opinion Exhibit A: Lack of Vision! 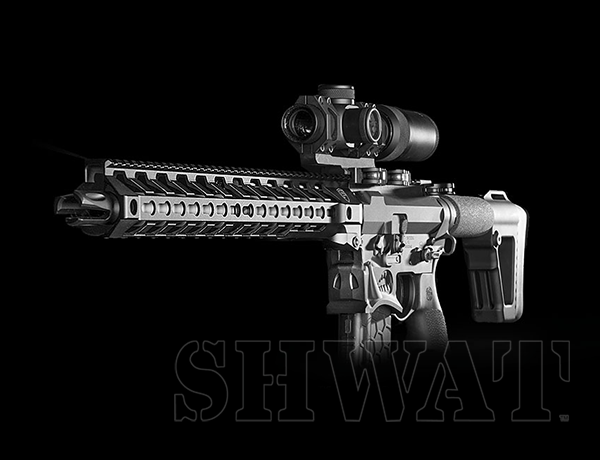 Well that changed, and now I’ve built a custom over-the-top .458 SOCOM rifle where every single primary component was carefully chosen by yours truly to create an epic big bore AR-15. And as good as the parts are, there’s no doubt that the whole is greater than the sum of parts. None other than Bill Wilson, founder of the renowned Wilson Combat, opened my eyes. A couple of years ago he put a prototype Wilson Combat .458 SOCOM AR-15 in my hands and guided me on a hog hunt at his ranch. Hogs didn’t argue when hit with this round. They simply gave up on the spot. After that experience, I figured I might just need a .458 SOCOM, but I didn’t prioritize it. 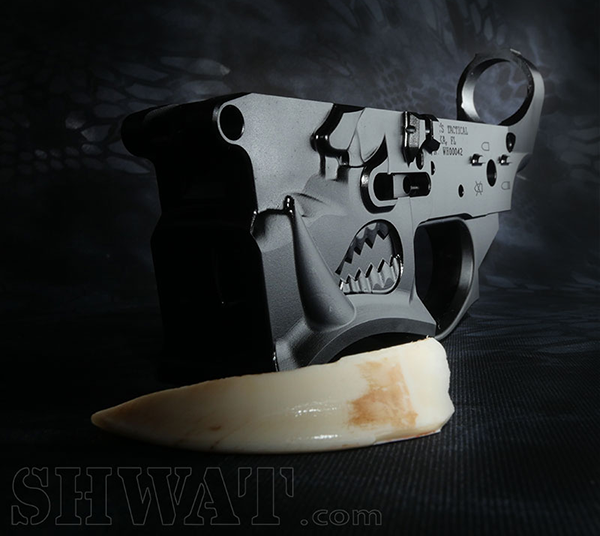 Well, not until a year ago when I saw the AR-15 lower receiver dubbed the “Warthog” designed by Sharps Brothers. Instantly I knew I had to build an over the top big bore AR-15 on a Warthog. Spike’s Tactical is the distributor for Sharps Brothers and in short order I had a Warthog on the way. This aggressive looking lower receiver is so well made that I drooled over it when it arrived, posting pictures to our various social media platforms for quite some time. It’s a one of kind design in 7075-T6 peak-strength corrosion-resistant aluminum alloy billet receiver, MIL-A-8625 hard anodized. It’s compatible with milspec uppers and internal parts. It’s also compatible with Cross Machine Tool billet uppers I found out. I wanted a quality great looking upper to go with my Warthog lower. I wanted something different, something unique. That led me to hunt for side charging upper receivers and I chose a Cross Machine Tool right side charging UPUR-3A Billet Upper. Just like the Warthog lower receiver, the Cross Machine Tool (CMT) upper is made of Billet 7075 T6 and the anodizing matches my Warthog lower nicely. They fit together like the door and frame on a Porsche. Add CMT to your short list of good looking high quality receivers. You won’t be disappointed. Riding inside the CMT upper receiver is a right side charging National Match Bolt Carrier and .458 SOCOM bolt from Young Manufacturing. Young is known as one of the best sources for BCGs anywhere. Unlike some lower end .458 SOCOM bolts on the market, Young’s isn’t simply a milled out thin walled 5.56 bolt just waiting to crack. Its walls are thicker and surfaces precise. Their BCG tolerances are better than milspec and a close inspection makes you think it could have been a precision part for a F22 fighter jet. Getting a .458 SOCOM to function properly can be a pain. I can happily report that Dan Young has it figured out. He incorporates stronger springs in his .458 SOCOM BCGs to ensure they function well. Over the past several years I’ve concluded that my AR-15 builds simply have to include a couple of key things from Battle Arms Development. 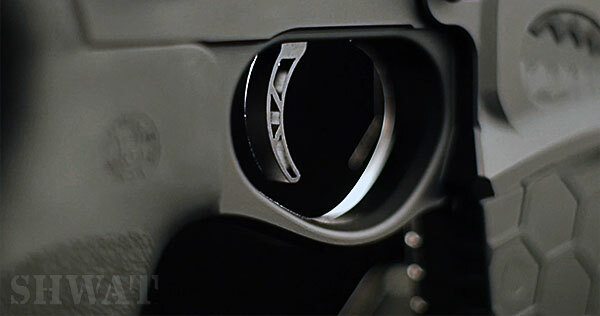 Holding the upper and lower receivers together is the BAD-EPS (Enhanced Pin Set). I’ve found nothing easier to install or easier to use when opening up an AR-15. 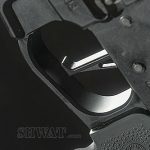 The other part I’ve used on every AR-15 project over recent years has been their Ambidextrous Safety Selector. Since the introduction of the short throw versions, that’s all I use. For this build I also used their Enhanced Mag Release. It has a serrated V-shaped face that is just better than the usual run of the mill variety. The truth is, I’ve never seen anything from Battle Arms that I didn’t love. That doesn’t sound very objective, but facts are facts. Not every buttstock is up to handling the force of the .458 SOCOM. Happily for me, the aptly named ACE M4 SOCOM from Doublestar does. I have loved this stock for almost as long as I’ve loved Timney Triggers. It’s rock solid, has the option of a fat recoil pad and the receiver extension tube provides another place to grab the rifle. To my eye, it looks amazing, too. This is the second time I’ve used one of these and I couldn’t be happier with it. I wanted rail that was light weight and gorgeous, a smooth rail with a small diameter. I got a Fortis Manufacturing Switch rail and it instantly became one of my all time favorites. It’s a KeyMod rail so adding attachments is easy enough, though I’ll just mount a white light on the full length Picatinny rail at 12 o’clock. I went with the fourteen inch model which has four Quick Disconnect mounts and weighs in at a mere 11.4 oz. including the barrel nut. All that’s great, but the Switch rail mount is the show stopper. Pull the lever and the rail unlocks and slides right off! And why do we care? Well, let’s say you’re tuning your gas system and can’t find the long hex wrench required to reach your gas block adjustment buried under the rail. No problem! 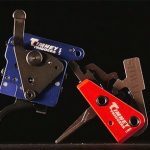 Pull the Switch rail lever, slide the rail off, and jam your favorite knife blade or multi-tool into the gas block hex head adjustment screw and finish the job. Again, ask me how I know… This is the only Fortis product I’ve ever used, but after this experience I’m eager to try more. It’s funny how things come full circle. Given the over the top build of this .458 SOCOM AR-15, I had to have an unquestionably awesome barrel. So I went back to the beginning, back to Wilson Combat. 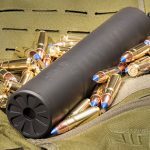 Their 14.7″ Recon SR Barrel has a purpose built .458 SOCOM barrel extension and 1:14 six groove right hand twist precision button rifling to stabilize big heavy loads. Weighing 23 oz., this stainless steel barrel looks sweet under the rail. 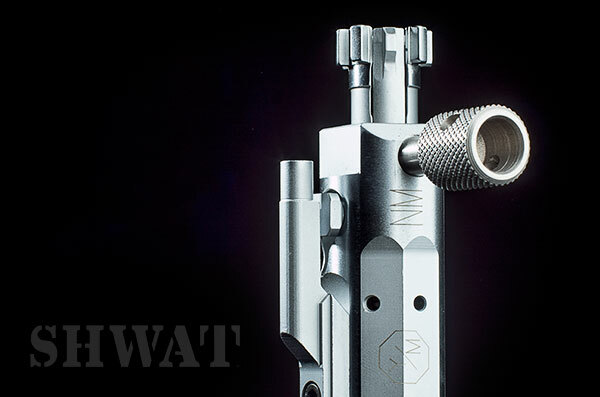 When we first assembled the rifle we we decided to pin and weld the .458 Accu-Tac flash hider to avoid building an NFA regulated SBR (Short Barreled Rifle). I changed my mind forcing us to reverse course and permanently attach a Rapid-Thread Muzzle Brake with Muzzle Brake Blast Diverter. 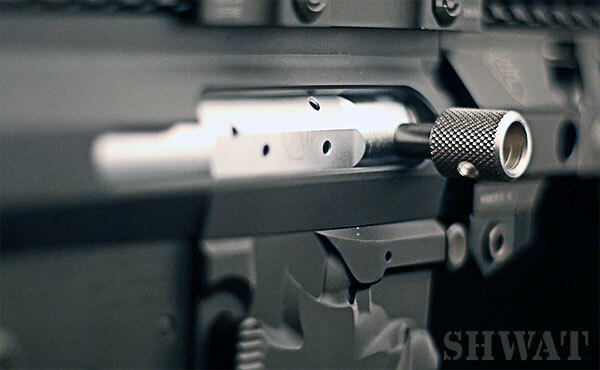 The barrel, muzzle device of your choice, adjustable gas block, gas tube and complete Bolt Carrier Group are available as a Builder’s Kit from Wilson Combat. Because I had my mind set on the side charging upper, I set aside the BCG for another day. Since this is a side charger build, the usual AR-15 charging handle is pretty much a loose plug in the upper receiver. I’ve run several handles in it and at the moment it has a BCM Gunfighter. The grip is from Hogue. Counting the buffer and other small parts, the net build cost to make this rifle at full retail would be about $2000, though you could save a fair amount if you bought during sales. You could pay more for a custom .458 SOCOM, you could pay less for an off the shelf model. But in neither case would you have THIS gun! So how does it shoot? Really well, and really fun! Let’s start with the fun. Recoil isn’t at all uncomfortable or sharp. It’s a hard push, pretty much straight back, strong enough to rock me back on my heels after four rounds rapid fire. I’ll try to remember to adjust my stance a bit on my next trip to Spike Box Ranch to hog hunt! It’s accurate, too. My favorite place to zero and test for accuracy is the 100 yard tunnel inside the Sportsman Shooting Center in Dallas/Fort Worth. It’s most of three hours from home, but the instant digital measurements displayed in hundredths of an inch on a screen within arm’s reach is unbeatable. Running .458 SOCOM Wilson Combat loads utilizing the 300 grain Barnes TTSX bullet, this gun consistently ran groups right at 1 MOA. I’m more than happy with that for the .458 SOCOM and thank King’s Arsenal for helping us get the most out of this build. UPDATE: We add the Liberty Suppressors Goliath Silencer to the project! This entry was posted in Special Hunting Weapons & Tactics™ - The Center of Gravity for Tactical and Long Range Hunting and tagged .458 SOCOM, AR-15, AR15, Build, Hunting, Trigger, Triggers by Jonathan Owen. Bookmark the permalink. 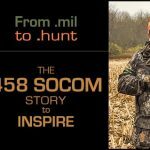 How’s the Ace M4 SOCOM stock holding up? I’ve been thinking of using one on my 458 but have read it doesn’t hold up without being fixed. All good so far. I never adjust mine, just set it and forget it. What about the gas tube? 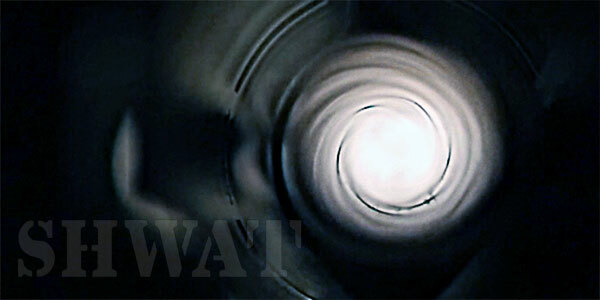 Is there a specially made tube or is just a standard carbine length tube work with it?